The 2020 VW Passat goes on sale this summer, but a stronger engine will arrive shortly thereafter. The 2020 VW Passat has new looks over an old body, but that’s not necessarily a bad thing. The 2020 Volkswagen Passat is a mid-size sedan that doesn’t try to be the center of attention. 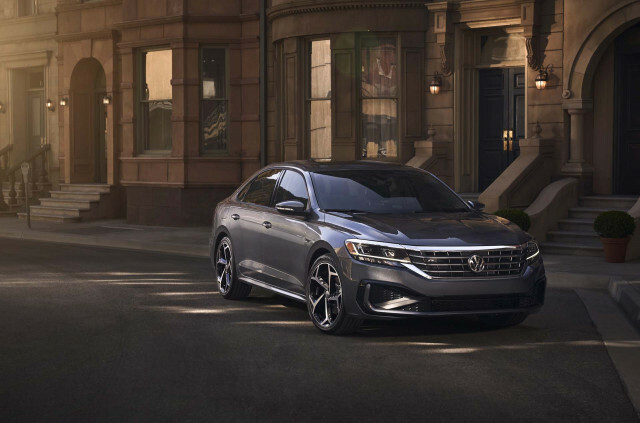 For 2020, the Passat has a new look, an updated interior, and most models have a more powerful engine underhood. However, behind that flashy new roofline and those bright LED headlights sits a warmed-over version of last year’s Passat, which hasn’t changed much since 2011. While the rest of the VW lineup uses the automaker’s latest modular platform, the 2020 Passat sticks with last year’s underpinnings. Don’t write it off just yet. The old Passat was a quiet overachiever thanks to its spacious interior, good handling, and thrifty but strong engine. Based on an initial preview drive in a prototype Passat, the new model doesn’t erase those virtues. 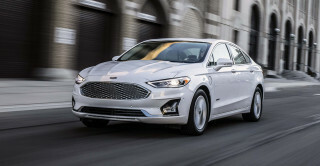 Instead, it builds on them with upgraded infotainment, a wider array of collision-avoidance tech, and, of course, a fastback-like roofline. The Passat goes on sale this summer first in Limited guise, but four other trim levels will take that model’s place later in the year. They may be worth the wait. The 2020 Passat Limited carries over last year’s 174-horsepower, 184 pound-feet of torque 2.0-liter turbo-4. The four yet-unnamed trim levels set to follow will use a 207 lb-ft of torque version of that engine. Regardless of what badge is on back and how many torques are underhood, the Passat uses a 6-speed automatic transmission to shuttle power to the front wheels. 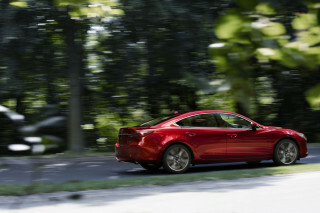 Don’t look for a V-6, all-wheel drive, or a zestier suspension. The Passat R-Line trim level is just for looks with its 19-inch alloy wheels and racier bumper designs. In our brief drive of the Passat at Volkswagen’s Arizona proving ground, we found it to have excellent highway stability, sharp handling, and a compliant ride even with the R-Line’s 19-inch wheels. 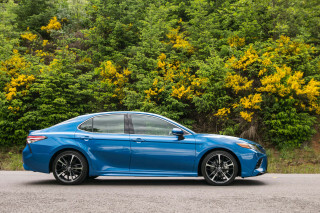 The standard 17-inch wheels are likely to ride softer. VW hasn’t offered up fuel-economy estimates for the new Passat, but they aren’t likely to stray far from the 2018’s commendable 29 mpg combined unless the new shape is significantly more streamlined. Inside, the Passat’s dimensions won’t change much from last year’s model, which means it still offers terrific leg room for rear-seat passengers and a slightly narrow center console. The 6.3-inch touchscreen for infotainment is on the small side compared to rivals and there’s just one USB port, but at least the software includes standard Apple CarPlay and Android Auto compatibility and it looks good behind its glass screen. Cloth upholstery is standard, while synthetic leather and real nappa leather are optional depending on the trim level. A loaded-up 2020 Passat features Fender-branded speakers, front and rear heated seats, a power driver’s seat with memory, automatic windshield wipers, keyless ignition, and a large power moonroof, but VW hasn’t said how much it will cost. 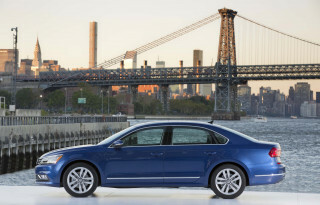 The outgoing Passat scored well for its safety and the new model should carry those good scores into the new year. 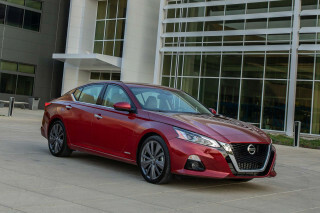 All models now include automatic emergency braking with pedestrian detection and blind-spot monitors. 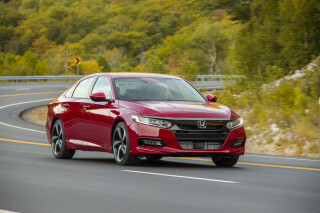 Adaptive cruise control and active lane control are on the options list. The 2020 Passat is scheduled to hit dealers this summer with the less-powerful Limited engine before the rest of the lineup arrives later in the year. Looking for a different year of the Volkswagen Passat?